Crime, politics, law enforcement...and banking..
Several days ago I posted about the 'Tangled web of crime, politics, law enforcement, and business...' that has resurfaced thanks to the attempts of the current authorities to dump the blame for the killing of Donetsk businessman Yevhen Shcherban on former PM Yulia Tymoshenko. Shcherban, of course, was only one of dozens of top businessmen/gangsters that came to a violent end in the early and mid nineties in Donesk and surrounding areas. The evidence thus far presented by prosecutors in pre-trial hearings into Shcherban's murder, in particular that of 'witness' Ihor Maryinkov, has bordered on the farcical. However I missed out one more obvious thread in this web of crime, politics, law enforcement, and business - that of banking...The huge sums of money being made by unlawful means that enabled certain people to turn into immensely wealthy oligarchs had to be filtered/laundered through the banking system that existed in Ukraine at that time. It is probably safe to assume that most of the money passing through banks in Ukraine in the early and mid nineties came from highly suspect sources. "Was Kushnir the agent of an associate of Volodymyr Shcherban's financed by Valentina Arbuzova?" [Kushnir was head of an allegedly notorious band of killers who were found guilty of murdering several of the most prominent politicians/gangsters/government officials in Ukraine. Volodymyr Shcherban, a former governor of Donetsk and close associate of Yevhen Shcherban, is due to testify next week. The Shcherban murder trial has now begun; but already the impression is that it is completely rigged. The "professional" witness Maryinkov gave evidence in almost all of the trials of members of the Kushnir gang. But he also admitted he was very close with members of this bloody gang - Ryabin, a gang member, and Kushnir himself even slept in his hotel room, and then it turns out that he has a particularly close relationship with three generals of the SBU [Security Service of Ukraine]. In particular, he is a business partner of Yuriy Vandin, who had investigated the murder Shcherban. Surely it is nonsense when a prosecution witness is so close to the investigator who initiated charges in any criminal case. Sinenko claims that the charges against him were fabricated. Coincidentally, Maryinkov was the main prosecution witness who testified against Sinenko. In one portion of this letter. Sinenko wrote that amongst members of the Kushnir gang mentioned by investigators, he only knew Kushnir as the brother of the head of police investigations, Colonel Yakov Kushnir, and as an agent of the head of Donetsk police, General Varaki, a.k.a 'Rogov'. Kushnir's brother really did work for the police. However, he retired long before the murder of Shcherban, and a few years later emigrated to Israel. Before the trials into the murders of Bragin and Shcherban no-one had ever heard of the Kushnir gang in Donbas. The names usually mentioned by locals were other "heroes" such as Givi, Alik Grek, Yuriy Maloy, Rinat, Misha Kosoy. In 1994, a local branch of PrivatBank was opened in the town. According to inside sources, in the first years of its operation, it actively laundered money for Shcherban. However, what is particularly interesting is that it also "funded" the Donetsk police, in particular General Varaki. In 1995 the bank established a "Charitable Foundation for the Police" which for several years was run by General Varaki personally. The manager of the Donetsk branch of PrivatBank during those years, was Valentyna Arbuzov, mother of the current Deputy Prime Minister Sergei Arbuzov, a prominent member of 'The Family'. p.s Over the years Volodymyr Shcherban's name has cropped up in my blogs on several occasions - not a nice man. Will Yanukovych heed Van Rompuy and Barroso? "..The President did not sign anything in Brussels, [but] private negotiations with EU leaders Herman Van Rompuy and Jose Manuel Barroso took place. They talked for over two hours instead of the planned 30 minutes ... [After this] the three of them entered the press centre without smiling. Van Rompuy almost immediately began to speak of the "Fule criteria" - 19 requirements that the European Commissioner for Integration brought to Kyiv two weeks ago. And [with] the first of them the EU president mentioned the most uncomfortable question - "selective justice." Van Rompuy use this phrase at least five times, whilst mentioning progress in the implementation of Ukraine's European integration plan only once. "The EU wants to have a successful summit in Vilnius" (in November 2013, when is expected that the Association Agreement EU and Ukraine will be signed), - but made it clear that the success of the summit depends solely on Yanukovych. Yanukovych facial expression during these speeches was expressionless...Yanukovych smiled only once, after a question from a Reuters correspondent..."
What did Rompuy and Barrosso tell Yanukovych in those two hours? The opposition are disunited....Tymoshenko's moment in history has passed...Forget about her...let her go..."
But will Yanukovych take heed? Yanukovych could have had Lutsenko released last week...he did not. "There is no sense in continuing to trample on Tymoshenko for 'domestic consumption' purposes: she is already in prison for seven years. The Ukrainian electorate has long since split into two camps: those who hate her, and those who worship her and will not be convinced by any of the prosecutors' fairytales. Furthermore, these fairystories are so primitive and so clumsily cobbled together , that even a large proportion of those opposed to Tymoshenko do not believe them. To trample on Tymoshenko as a show for the Europeans makes no sense either. The level of confidence in Ukraine's judiciary there is almost zero. Deputy prosecutor Kuzmin's crazy show is not assessed by the Europeans in terms of our new Criminal Code, but rather from the point of view of their own best legal practice. It is scary to imagine what all this looks like in the eyes of Europeans. What an idiot you have to be to imagine that 27 parliaments in the 27 European Union countries will vote to integrate a country such as ours into the EU." Here is a brilliantly written analysis from Andeas Umland in his recent article in 'The National Interest' : "How Ukraine Might Blow Its Historic Opportunity"
In any walk of life for any deal to be successfully concluded both sides have to negotiate in good faith and be flexible on one another's major concerns. Yanukovych has stubbornly refused to budge one millimetre to meet the concerns of the EU. The opening of the Scherban murder case against Tymoshenko is the clearest evidence of this. Strasbourg, 21.02.2012 – Pieter Omtzigt (Netherlands, EPP/CD), who is preparing a report on “Keeping political and criminal responsibility separate” for the Parliamentary Assembly of the Council of Europe (PACE), has said that it is urgent to address the status of former Prime Minister Yulia Tymoshenko and former Interior Minister Yuri Lutsenko as ‘political prisoners’ within the meaning of the definition adopted by the Parliamentary Assembly in October 2012. Mr Omtzigt was speaking at the end of a three-day information visit to Ukraine (19-21 February 2013), during which he met Mr Lutsenko in prison. “I should like to recall that the Assembly, in Resolution 1862 (2012), has already called on the President of Ukraine to consider all legal means available for him to release Ms Tymoshenko and Mr Lutsenko, and indicated that if these demands were not met it could consider possible sanctions,” said Mr Omtzigt. “Meanwhile, the European Court of Human Rights has found that the arrest of Mr Lutsenko violated the European Convention on Human Rights on numerous counts, including a finding that there were other than legal motives for his arrest. This judgment, in my view, shows that law enforcement in Ukraine is unfair and urgently needs an overhaul,” he added. “The democratic forces in Ukraine place their hopes in the principles upheld by the Council of Europe, and I will do my very best to ensure that we will not let them down,” concluded the rapporteur, indicating that he intended to present his final report as soon as possible. Is Ukraine a country currently fit to be integrated in to European institutions? Cautious optimism? Self-delusion, or what? Some reports claim the first two managed to 'squeeze a "positive signal" from Yanukovych on the matter of Yulia Tymoshenko's incarceration. Polish President Bronisław Komorowski, on his official website: "expressed his conviction and optimism regarding a series of gestures and decisions which President Yanukovic had envisaged, important from the point of view of rebuilding Ukraine's image in EU countries and linked with two names - Yulia Tymoshenko as well as Yuri Lutsenko." "Instead of releasing Tymoshenko, she is being threatened with life imprisonment in a fresh case against her. The [mass] media are being ever-more controlled by the authorities. The opposition is being threatened, this time, with early elections under new electoral law which would give Yanukovych's party a decisive majority in parliament. Key issues, demands by Brussels for administrative and judicial reforms, have not even started. If Yanukovych were to meet the minimum required by the EU he would shake the foundations of the para-democracy constructed these last two years and destroy the power of the Party of Regions at an impressive rate. It's hard to expect this. The system created by him is calculated for power - the [country's] administration and the economy, all to be monopolised by the ruling Party of Regions. He's done nothing for two years, he won't do anything in two months. The game is no longer about an association agreement, but how to exit from several years of missed opportunities and the illusion of struggle between Brussels and Kyiv without losing face..."
Valeriy Portnikov writing in his op-ed piece in Liga.net on the same topic, says: "Ukrainian authoritarianism has already passed the point of no return, and those who are trying to change its trajectory are engaging in complacent self-delusion ['samouspokoyeniyem'] rather than real politics." p.s. Hennadiy Moskal, a seasoned opposition parliamentary deputy with a many years experience in the top eschelons of Ukraine's law enforcement agencies, provides some background info on Serhiy Zaitsev - the second witness to testify against Yulia Tymoshenko in pre-trial hearings last week. 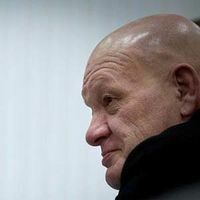 Quoting reliable sources Moskal alleges that last year five criminal criminal cases were opened against Zaitsev in Ukraine. These included serious fraud, embezzlement, forgery etc.. In 1999 Zaitsev was detained by law enforcement agencies in Poland on suspicion of murder, but was later released for unknown reasons. p.p.s. I wonder is Zaitsev's name cropped up in president Komorowski's tete-a-tete with Yanuk? ...Polish president Bronislaw Komorowski said in a recent interview on the "Signals of the day" [radio programme] - "We will talk [and try] to convince our Ukrainian guest to to make a series of gestures that will confirm Ukraine's wish to get closer to the Western world and increase the chances of him signing the EU Association Agreement with Ukraine at the summit of leaders of the EU and the Eastern Partnership in November this year in Vilnius." "We will [try to] convince him not only [to make] gestures, but also to really set into motion the announced reforms in the sphere of justice", said the president. Everyone knows what Komorowski was talking about - he wants Yanukovych to made a gesture regarding the deeply troubling politically motivated persecution of leaders of the Ukrainian opposition. And Yanukovych's response? - The novice judge Rodion Kiryeev, who sentenced Yulia Tymoshenko to 7 years imprisonment was today promoted to the position of acting deputy head of the Pechersk regional court. This week former minister of the interior Yuriy Lutsenko could have been released from prison on grounds of ill health. He was not..My guess is that for Yanukovych any such gesture would have been construed as a sign of weakness..which is totally out of the question for a bully like him. p.s. Donetsk crocodile Volodymyr Shcherban. will be the next witness to be called to testify in the pre-trial hearings investigating the murder of Yevhen Shcherban. Yulia Tymoshenko is accused of commissioning this crime. From July 1994 until October 1996 Volodymyr Shcherban was head of the Donesk oblast council. From July 1995 until July 1996 he was head of the Donetsk oblast state administration, or governor. According to Forbes.ua, in recent testimony to law enforcement agencies, Volodymyr Shcherban alleges Tymoshenko may have been responsible for the death of Industrial Union of Donbas director, Alexandr Momot too. However following Donetsk mafia capo Akhat Bragin's assassination in the Shakhtar stadium in October 1995, Volodymyr himself started having problems with Ukraine's law enforcement agencies. A commission from Kyiv arrived in Donetsk led by the-then prosecutor general of Ukraine, Hryhoriy Vorsynov. The commission's report was prepared by Vasyl Durdynets, the then vice-PM responsible for state security and emergencies. Durdynets blamed Shcherban [not unreasonably] of permitting organised crime to run riot in the oblast, and directly accused Shcherban of providing 'a roof' for this. Forbes.ua make the obvious point that this casts a big shadow on any verbal evidence he may have presented to prosecutors in recent days..
Akhat Bragin was blown up in the Shakhtar Stadium on October 15 1995, almost a year before Shcherban's death. Aleksandr Momot, a co-founder of IUD, was shot dead on May 16 1996. In July 1996, Pavlo Lazarenko survived an assassination attempt, less than two months after he was appointed PM. Yulia Tymoshenko was born 27th November 1960. When Yevhen Shcherban was shot dead Tymoshenko had not yet celebrated her 36th birthday. Is it really possible... that in the anarchic, massively male-dominated world of pitiless ex-Communist career politicians, factory bosses, underworld gangsters and hoodlums that dominated Ukraine in the mid nineties, such a young woman could have had a decisive voice on 'who was to live and who was to die? It seems that the hero of my previous blog, the boorish Ihor Maryinkov [see photo] who gave evidence against Yulia Tymoshenko earlier this week, has major 'previous form' as a professional witness. He was a prosecution witness in the high-profile murder trials of Yevhen Shcherban, Akhat Bragin, and Vadym Hetman, who were all allegedly killed by the notorious Kushnir gang. Almost exactly seven years ago I posted a blog about the interwoven nexus of crime, law enforcement, business, and politics that lies embedded below the surface of today's Ukrainian elites. On 22nd February 2006 an appeal court in Donetsk heard the preliminary statement of Vyacheslav Sinenko, a former police major who is accused of the attempted killing of Akhat Bragin and others by means of an explosive device. Sinenko escaped to Greece, but on 30th March 2004 was detained in Athens and extradited to Ukraine a year later. At a further court hearing on 23rd February Sinenko gave more details of his defence. He says that at the time of his investigation into the Bragin killing he met V.S Malyshev, the former head of the Ministry of Internal Affairs in Donetsk. Malyshev told him: "Where the hell are you going with this, you idiot..?" Malyshev became chief of security at billionaire Akmetov's SystemCapitalManagement, and well-placed on the PR parliamentary election list at that time. Similar details of the Sinenko trial were reported by the authoritative 'Kommersant' site. She describes how several years ago Maryinkov, [whose own evidence this week makes clear he was completely trusted by the Kushnir gang] was also in business with three other men, Yuriy Vandin, Mykola Shatkovsky, and Yuriy Zemlyansky. All three were in some way known to have significant connections with the killing of Yevhan Shcherban. Also, together with Maryinkov, they were the founders of the 'Ukraina-Kytay' investment-consultancy company. The first of the three, Vandin was head of the Investigation of Organised Crime directorate at Ministry of Internal Affairs and was directly responsible for investigating Shcherban's murder. If Maryinkov was an inside man, they why did he not prevent any of the numerous high-profile murders conducted by the Kushnir gang? Why has he never spoken out against Tymoshenko before...even when she was imprisoned in early 2001 when president Kuchma was determined to eliminate her from politics? 'Ostrov' reports that Yuriy Vandin also led the investigation of the murder in Slovyansk in 2001 of television journalist Ihor Aleksandrov*. [Readers of my blog will be aware that Aleksandrov was allegedly investigating corrupt links between known criminals and top prosecutors....including....with the current P-G...Viktor Pshonka, when he was killed .] A certain Oleksandr Ribak, who had been sentenced for allegedly commissioning the Aleksandrov killing, escaped after being escorted by paramilitary guard 'Alpha' to the prosecutor's office. The second of the three, Shatkovsky was, a year ago, appointed first deputy head of the SBU [Security Service of Ukraine] by Viktor Yanukovych himself, and held the position of deputy head of external intelligence of Ukraine. As for Zemlyansky, the last of Maryinkov's partners in 'Ukraina-Kytay', between 1998 and 2004 he was first deputy head of the SBU, and according to a 2004 article in the authoritative 'Dzerkalo Tyzhnya', the high-ranking Zemlyansky was Yanukovych's main man in the SBU. Who actually was Mar'yinkov at the time of Shcherban's murder? What role did the SBU and Ministry of Internal Affairs play in the numerous high-profile murders in Donetsk [in the '90's]? Is there any truth in the words of Major Sinenko, who claimed that Mar'yinkov took orders from Rinat Akhmetov? And finally, what is the significance of the fact that the "sylovyky" business partners of Mar'yinkov [who, in essence provided shelter to the Kushnir gang], were also close to Yanukovych? By the end of the 90's, an unspoken agreement between the general public and these elite was formed because the people in power that had grabbed former state property by force, managed to set up certain rules of the game so ending the gangster lawlessness of the early 90's. A mutually acceptable amnesia descended on the country, and the dangerous, lawless days of the early and mid-nineties were all but forgotten about by everyone....it became a taboo subject. Society gave the appearance of having forgiven the country's elite in exchange for something that resembled civilised life. Yesterday a pre-trial hearing took place in Kyiv during which Ihor Maryinkov, a rather nasty-looking witness [see photo], gave testimony. He accused Yulia Tymoshenko of involvement in the contract killing of Donetsk multimillionaire and member of parliament Yevhen Shcherban, back in 1996. In her 'U.P.' blog investigative journalist Tetyana Chornovil reveals that Maryinkov, like Rulan Shcherban [see previous blog] also has links to the Yanukovych family. From official sources, Chornovil discovered that in the mid 90's Maryinkov was the founder of the joint Ukraine-Russian enterprise "DonetskoOvoch", which was later renamed "UkrSpetsResurs". His business partner was a certain was Arkady Klein from Artemivsk. Arkady Klein worked for 42 years at the Artyomivsk sparkling wine factory [the biggest of its kind in Eastern Europe] and at the end of the 90's became its director. At that time it was part of the "UkrInterProdukt" corporation whose owner was Party of Regions' MP Alexander Leshchynsky. Igor Alexandrov, director of the Slovyansk TV company Thor, who was beaten to death in 2001, called Leshchynsky "The vodka king of Donbas." Around the same time Arkady Klein becomes an honorary citizen of the city of Artemivsk (just after the Soviet Union's Sinatra - Yosyp Kobzon had received this honour) and the factory directorship is handed over to a Roman Nikiforov. (Nikiforov mysteriously 'shot himself dead' with a rubber bullet immediately after the Orange Revolution [see this from F.N.]). In 2000 Arkady Klein is appointed chairman of the supervisory board of the Artyomivsk Winery and holds this position until 2006. In 2002 the Donetsk firm "Edelweiss" becomes a shareholder in the Artyomivsk Winery with a 15% stake. Structures close to Rinat Akhmetov and Boris Kolesnikov owned the remainder. Today 99.9% of the shares of this company belong to Viktor Yanukovych's son Oleksandr's "MAKO Holding". "Edelweiss" was the main business structure of the Yanukovych's in 2002. Old family associate Edward Prutnik, the-then manager of 'The Family's' businesses, was it's front man. Prutnik later sold his share of "Edelweiss", so now Oleksandr Yanukovych is the sole owner of "Edelweiss." Thus it appears that Arkady Klein, business partner of today's witness in the Shcherban murder case, for several years helped develop the champagne sector of Yanukovych's elder son's businesses. It turns out that now that both main prosecution witnesses have links with Yanukovych family's businesses. Ruslan Shcherban hunts with Yanukovych's business partners [and occasionally shoots them ;-) ] He also goes hunting with Oleksandr Yanukovych himself. Ihor Maryinkov had a joint business with a man who occupied a high position in a company owned by Oleksandr Yanukovych, Rinat Akhmetov, and former cabinet minister Boris Kolesnikov. Maryinkov can be considered to be a habitual, professional witness. He testified in the highest profile murder trials ever held in Ukraine - those of Yevhen Scherban, Shakhtar Donetsk boss and alleged mafia capo Akhat Bragin, and National Bank of Ukraine chairman, Vadym Hetman. In those trials he gave all necessary evidence in favour of the prosecution against crime boss Yevhen Kushnir, who organised there killings, and Kushir's ties to Pavlo Lazarenko. But he never ever uttered a single word about Yulia Tymoshenko's involvement in these murders...until now. Maryinkov started to give evidence [and 'sing' like a canary] after he was arrested on May 30, 1998, together with a Yuriy Serdyuk, when driving into Poltava. An arsenal of weapons were found in the trunk of his Mercedes - a Kalashnikov automatic rifle, several grenade launchers, and a large quantity of ammunition. He was sentenced to a laughable one year of imprisonment. Serdyuk testified in all the above-mentioned high-profile trials together with Ihor Maryinkov. In their evidence, Serdyuk and Maryinkov recalled their trusting friendships with members of the murderous Kushnir gang. They were so close that Kushnir and his side-kick Anatoliy Ryabin spoke openly to them about their plans to murder a whole list of top people in the Donbas region, in other words Serdyuk and Maryinkov were both loyal gang members. So the businessman Maryinkov, with his highly criminal background was also close to Arkady Klein, who for many years was in charge of production at the Artyomivsk Winery, owned by Akhmetov, Kolesnikov and Yanukovych's eldest son. Ryabin was killed in 1966. Kushnir died in highly suspicious circumstances while he was detained in an investigative isolation unit in Donetsk in May 1998. Yulia Tymoshenko was recently officially notified that she is a suspect in the murder of prominent Donetsk businessman and politician, Yevhen Shcherban. He and his wife had been assassinated by a band of killers at the city's airport in November 1996 as they were alighting from their aircraft. Last April Yevhen's son, Ruslan, during a hesitant and rather embarrassing press conference, for the first time since his father's slaying publicly accused Tymoshenko of involvement in the assassination of his parents. Well founded allegations were immediately made that Ruslan Shcherban was blackmailed to make such allegations by prosecutors after a hunting accident last February during which a friend of his, Rodion Drozdov, was shot dead. Today Tetyana Chornovil in a good piece of investigative journalism on this topic reveals that Ruslan Shcherban, who may turn out to be the main prosecution witness in any murder trial, is a good friend of president Yanukovych’s elder son, Oleksandr Yanukovych. Yanukovych jr. whose name now appears in the top 100 wealthiest Ukrainians lists, is also a business partner of Ruslan Shcherban and was a frequent visitor to the hunting lodge where Drozdov was shot dead almost exactly a year ago. Drozdov had come to visit Scherban with a certain Serhiy Bogdanov. Bogdanov and Drozdov were business partners and ran the Donetsk-registered 'Metugletreyd 2008' commercial and industrial enterprise which extracts and enriches coal products. Bogdanov is also the director of a financial and industrial company 'Kapital' - 100% of which is owned by Ruslan Shcherban. But the most interesting thing is that in 2008 Bogdanov founded a company called 'Donsnabtara'. This was the first public company owned by Yanukovych's eldest son. In that year the current stars of political and economic life of the country were assembled under its roof. In particular, Valentina Arbuzova, the mother of the current Deputy Prime Minister and former head of the National Bank of Ukraine, Serhiy Arbuzov was in charge of this company. Oleksandr Yanukovych was the main shareholder of the company with a personal stake of 75 million hryven. Ruslan Shcherban and Oleksandr Yanukovych were close in business matters too. It is possible that Bogdanov represented the interests of Ruslan Shcherban in 'Donsnabtara', the article says. In addition, the younger Shcherban and Yanukovych have a common passion - banking. Chornovil found some interesting information in a register of court rulings from May 2009 about a money laundering case in which Yanukovych's 'UkrBusinessBank'. and Ruslan Shcherban's 'AKB Kapital' commercial bank were allegedly involved. Residents of Mayatske forest, where Drozdov was shot, have told Chornovil that Oleksandr Yanukovych occasionally hunted there together with Ruslan Shcherban. "He has not been here for a while, though," said one local forester. "Last time he came was six months ago." Yulia Tymoshenko has declared that prosecutors have fabricated the case against her at the personal request of her greatest enemy, president Yanukovych.... and then it turns out that the main prosecution witness is a friend of the son of the man who is most interested in Tymoshenko being sentenced to life imprisonment. In what looks could be a cover-up, last September a certain O.G. Novikov, who according to some reports is Shcherban jr.'s chauffeur, was sentenced to four years imprisonment for the involuntary manslaughter of Drozdov [caused by carelessness], and immediately unconditionally released. Chornovil's article also provides details of the Novikov trial culled from court records and official public sources, and highlights serious omissions therein. Being close to 'The Family' helps to resolve problems in any criminal case, says Chornovil, citing the example of another of Viktor Yanukovych's friends - head of Ukraine's highways agency, 'UkrAvtoDor', Volodymyr Demishkan. Demishkan earned the release of his son by handing over a Crimean 'UkrAvtoDor' health sanatorium to 'The Family,"
p.s. In the court's report of the Novikov trial, Shcherban jr.'s, and other participants' identities are concealed - they are referred to by a number only. However, from the report details it is very easy to determine with high degree of certainty who stands behind these numbers. 'Kyiv Post' reports : " In an unprecedented move, on Feb. 8, the High Administrative Court of Ukraine cancelled election results in two majority constituencies, stripping deputies of their mandates and immunity from prosecution, and ordered a re-election. The deputies, and some opposition members, say the move is the government's retaliation in response to their independent stance in the Verkhovna Rada, Ukraine's legislature. The court on Feb. 8 cancelled election results in constituency 11 in Vinnytsia and 71 in Zakarpattya Oblast, Interfax Ukraine agency reported. Deputies Oleksandr Dombrovsky and Pavlo Baloga lost their status in parliament as a result. The resolution cannot be appealed. Pavlo Baloga is the brother of a former Emergencies Minister Viktor Baloga. He quit the pro-presidential Party of Regions faction on Dec. 13. Oleksandr Dombrovskiy has remained non-affiliated after the election. Results in Dombrovskiy's constituency were disputed after the Oct. 28 vote, but the Central Election Commission [CEC] ruled to recognize his victory..."
Most experts agree that once a parliamentary deputy has had his victory approved by the CEC and has been sworn into office, as these two had, they can only leave parliament in two ways, either feet first, or by resignation. In other words the High Administrative Court has crudely and cynically exceeded its authority. It is yet another example of how Ukraine's courts have become a tool in the hands of the country's current rulers utilised to demonstrate their unchallengeable power. The courts have, of course, been used to eliminate president Yanukovych's deadliest enemies, Yulia Tymoshenko and Yuriy Lutsenko by what have been widely considered to be politically motivated legal trials. Immediately after last autumn's parliamentary elections opposition parties challenged what they considered to be fixed results in many constituencies nationwide in Ukraine's courts. Virtually all their submissions were brusquely declined. Dobrovsky is an associate of Petro Poroshenko. Both Poroshenko, and Viktor Baloha are Ukrainian political heavyweights, very powerful in their respective home oblasts, and have held high office both in Orange and Blue and White adminstrations . Poroshenko has high ambitions - he may stand for election in the Kyiv city elections, which he most likely would win. This could provide a platform for the 2015 presidential election campaign. Even though Pavlo Baloha's and Dobrovsky's recent electoral victories over opposition rivals were highly dubious, both they, and their political sponsors, had been drifting toward the opposition lately. The ruling authorities ordered the High Administrative Court decision to demonstrate to non affiliated parliamentarians - either obey us...or you will get the chop. The ruling authorities gambled that the parliamentary opposition would not support the two dismissed deputies...but is seems they have miscalculated.. Some observers suggest that 'Semya' loyalists have now gained the upper hand amongst the PoR parliamentary faction. These loyalists are more concerned with obtaining a totally compliant parliament as quickly as possible by squeezing a few judges' balls, than adhering to the Constitution or any rules of parliament. PM Azarov tells the readers of 'Frankfurter Allgemeine Zeitung' that the criminal cases and imprisonment of Tymoshenko and Lutsenko are of secondary importance and that Ukraine intends to continue on the path to eurointegration. But as I wrote yesterday, the Council of the European Union have already given their verdict - the Tymoshenko and Lutsenko cases were politically motivated and "did not respect international standards as regards fair, transparent and independent legal process." They are a roadblock to EU-Ukraine relations and in no way secondary..
Because the Ukrainian authorities fear the European Court of Human Rights will soon rule in favour of Tymoshenko another, charges on a more serious case, that of the murder of Yevhen Shcherban 17 years ago, are likely to be brought against her. Quite why Ukrainian authorities assume Western observers will consider the Shcherban case to be also anything other that politically motivated is beyond me. On the contrary, it merely provides further confirmation that Western observers' assessment of Tymoshenko's treatment is correct. The Ukrainian Deputy Prosecutor-General Renat Kuzmin has already been denied a US visa...and could well be denied entry to the European Union too. Kuzmin's boss, Pshonka has declared Shcherban was killed because he and his company IUD did not bow to pressure over natural gas prices from USEU, the energy company that Tymoshenko headed at that time. Yet today one of the founders of Industrial Union of Donbas,a man who was at the heart of its gas dealings, one of Ukraines' biggest oligarchs and one of Shcherban's closest associates at IUD, Serhiy Taruta, in a revealing 'Ukrainska Pravda interview states: "All commercial conflicts with [Tymoshenko's] UESU and us ended by January 1996 - ten months before the killing of Yevhen Shcherban. By January were were [all together] in one boat." "Practically every week a big UESU and Itera team used to come [to us]. They sat constantly in our office, we agreed specifications according to each factory; this was a big job and at the same time a complex job... [Shcherban's] killing in no way changed our scheme [of operations], provided no advantage to UESU..."
"The [European Union] Council reiterates its strong concern regarding the politically motivated convictions of members of the former Government after trials which did not respect international standards as regards fair, transparent and independent legal process and regrets that, as a consequence, opposition leaders were prevented from standing in the parliamentary elections....The Council expects the authorities to address the cases of politically motivated convictions without delay as well as to take further steps to reform the judiciary to prevent any recurrence." Headlines following the visit of president Yanukovych to Lithuania yesterday and the visit of Stefan Fule, EU Commissioner for Enlargement and European neighbourhood policy to Ukraine today, now include clear mention of deadlines and ultimatums. Ukraine must satisfy the above conditions by November this year when a grand summit will take place, or risk waiting years or even a generation to sign the pact.The statement is clear - in the eyes of the European Council former Government members were convicted on politically motivated charges. Everyone knows we are talking about here - the release of Yulia Tymoshenko and Yuriy Lutsenko. And the Ukrainian authorities' response? Yesterday a court ordered Yulia Tymoshenko to be questioned via a video link - a clear attempt to speed up the start of any possible trial if she to be charged with the murder of Yevhen Shcherban. Deadline or not, there is no evidence that since last December Yanukovych and his 'banda' have stepped back even one centimetre from their drive to transform Ukraine into an authoritarian state..
Last week the parliamentary opposition were denied an emergency parliamentary session despite having the necessary number of signatures demanding such an event. Today the opposition's demand that the ruling parties adhere to a fundamental constitutional voting rule - one man one vote, has not been met. The parliamentary session has been blockaded by opposition deputies as a result. The vast majority of Ukrainian voters want VR deputies to work ethically, attend parliament regularly and stick to the rules. The opposition know this so it is an easy win-win policy for them to stick with. But Party of Regions' deputies seem comfortable with the opposition's tactics - unlike previous occasions when they have cleared the plenum chamber by physically assaulting their opposition colleagues with fists, flying chairs etc. The parlimentary speaker and the ruling parties are deliberately making Verkhovna Rada unworkable because they know this is the last place where the country's political opposition can still fully express its opinion and influence events. Right now opposition forces are too weak, society too apathetic, for 'people go out onto the street'. President Yanukovych and his 'banda' are therefore intent on making the V.R. unworkable and irrelevant..
p.s. If there is a problem with the V.R. electronic voting system why can't the parliamentary speaker, the Neanderthal Rybak, merely agree to voting by show of hands, or by an individual roll-call of those deputies who are present in the plenum chamber? In the Westminister parliament, the mother of parliaments, members of parliament vote by walking through one of two narrow doors, the Aye door, or the No door, as they exit the main parliamentary chamber. Independent counters and party checkers do a simple head-count. What could be easier - or more foolproof? I suspect Yanukovych and his parliamentary supporters know in their hearts sooner later one man one vote in parliament will become the norm. The days of vote rigging are over - this is the 21st century after all. To merely say the opposition are blocking the work of parliament just to score cheap points simply will not do any more. Just three weeks after being appointed PM he survived a professionally organised assassination attempt - he was very nearly blown up by a huge remote controlled bomb as he was being driven to Kyiv airport. The conclusion [on page 92] is interesting. He had many enemies...and was very powerful..